I received LISTERINE® Brand products from Johnson & Johnson Consumer, Inc. and The Motherhood as part of my participation in this LISTERINE® campaign. All thoughts and opinions expressed in this post are my own. Growing up, I had healthy teeth. Not a single cavity was to be had, until my children were born. Pregnancy ruined my perfect dental record and I’ve had to up my game to keep a healthy mouth. As for my children, brushing their teeth twice a day is just as painful as pulling them. Knowing that poor oral hygiene can have such a big impact on our lives, in so many areas, I’m doing everything possible to teach my children the complete routine of brushing, flossing and rinsing. I never realized how much the health of ones mouth could affect them. In a recent study done by LISTERINE®, there were some statistics that would even surprise you. For example, did you know that more than 8 in 10 people believe they have a healthy mouth (83%), the truth is that nearly all Americans suffer from some form of oral disease. Nearly all American adults over the age of 20 have had cavities at some point in their lives (91%) and one in four have untreated cavities (27%). My first cavity? Came at the age of 27. I had a horrible gag reflex during my pregnancies and prevented proper brushing, so you can count me into that 83%. I had no clue that things were going downhill so fast. Check out some of these survey findings, it’s actually pretty interesting! Reading that really makes you want to up your game, right? It all starts with having the proper oral products to take you through the entire brushing, flossing and rinsing process. 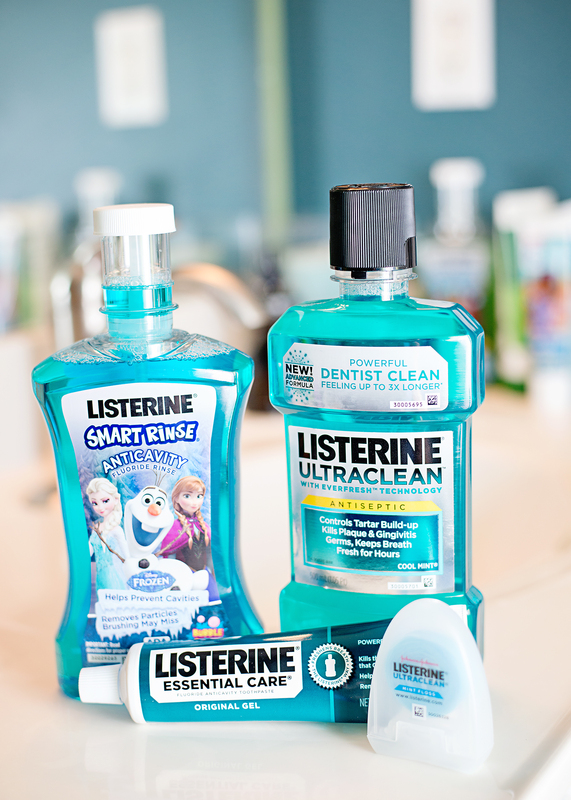 This is why we have become a LISTERINE® family. LISTERINE® Antiseptic cleans virtually 100% of your mouth to achieve up to five times healthier gums in two weeks and up to nine times healthier gums in four weeks. Join me in a Twitter party? Tuesday, Oct. 27, at 12 p.m. 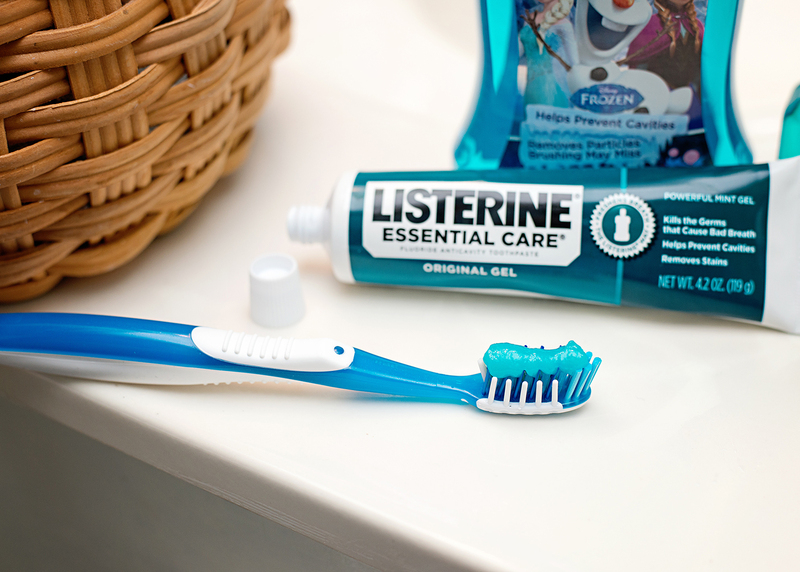 ET / 11 a.m. CT, we will be attending a Twitter party with LISTERINE®. During the party, there will be opportunities to learn more about the LISTERINE® survey, win some great prizes and if you mention the hashtag #LISTERINE, whether it’s during the Twitter party or at other times, it will trigger a $10 donation, up to $40,000, to support Oral Health America’s Fall for Smiles campaign from October 1 through December 1 to educate communities about the importance of proper oral care.